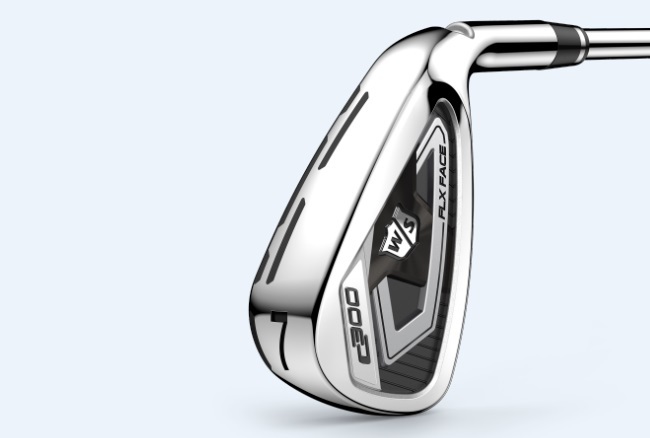 Wilson Staff C300 irons have two rows of power holes in 2018, and also come in a forged option. 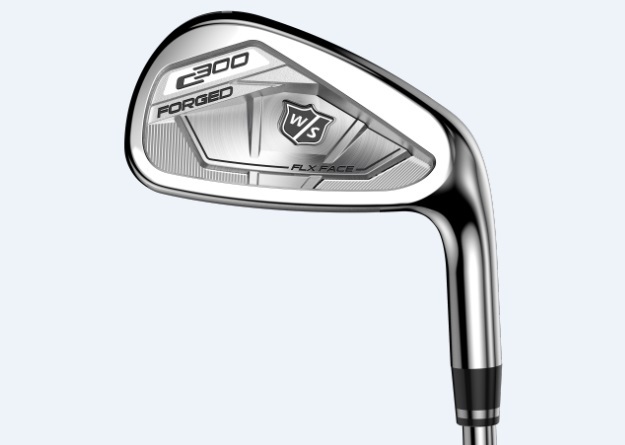 Wilson Staff has unveiled its C300 irons, which feature two rows of power holes compared to one seen in previous irons. The FLX Face Power Hole technolgy features around the entire iron to minimise contact between body and face, equaling more flex for forgiveness and more distance. 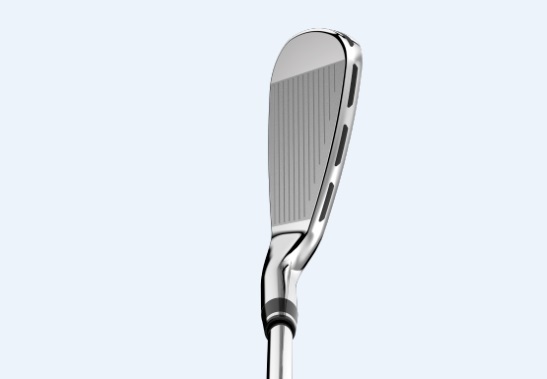 Like the C200, 76% of the thin face of the iron is free from the body of the club, and is filled with TE031 Urethane material for better feel and distance. 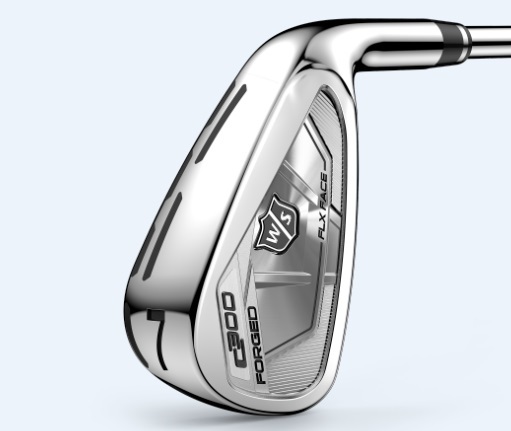 Three holes feature on the topline of the C300 iron, while two appear on the sole, which Wilson Staff say increases distance by seven yards. “Our original innovation of Power Holes proved so popular with the mid-low handicap golfers, that and we wanted to take the technology even further,” said Jon Pergande, Global Innovation Manager at Wilson Golf. “The entire first row of Power Holes on the sole, flex into the second row at impact creating a spring effect resulting in more distance combined with the feel of being able to shape shots. We’ve also changed the design of the irons following Tour player feedback developed within our Crossover system that enables golfers to up their game,” he added. They come with KBS Tour 90 steel and Fujikura Speeder Pro 58i graphite shaft options, with a new W/S Lamkin Crossline black grips in sets from 3-GW. The first 8620 Carbon Steel iron to use power holes. It uses the technology in the same way as the C300 iron. “The C300 Forged is for the aspirational golfer demanding confidence at address while allowing creative shot making, backed-up by the forgiveness of the FLX Face Technology,” said Jon. “Inspired by our Tour player irons and made out of the same 8620 Carbon Steel, we’re expecting the C300 Forged to make a real impact in the game-player irons section,” he added. Comes with KBS Tour 105 (105grams) steel and Fujikura Pro 85 (85 grams) graphite shaft options together with the Wilson Staff classic Lamkin Crossline pattern grip.